Are you bling enough to drive the Honda Civic Type-R? 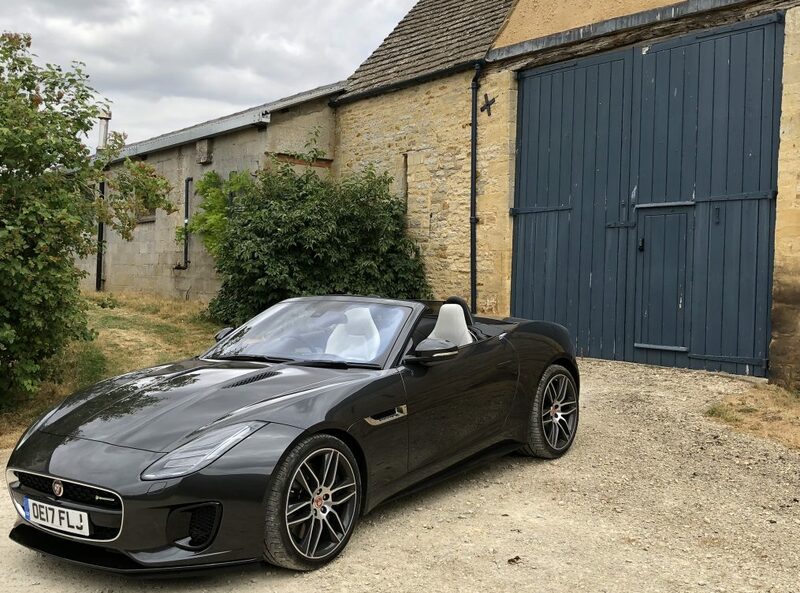 It might come down to whether you like wearing jewellery or not; if you prefer bright shirts to plain; whether a personal number plate is high on your list of priorities – if you want an in your face car or not. The difference between the Golf R and the Civic Type-R is massive. 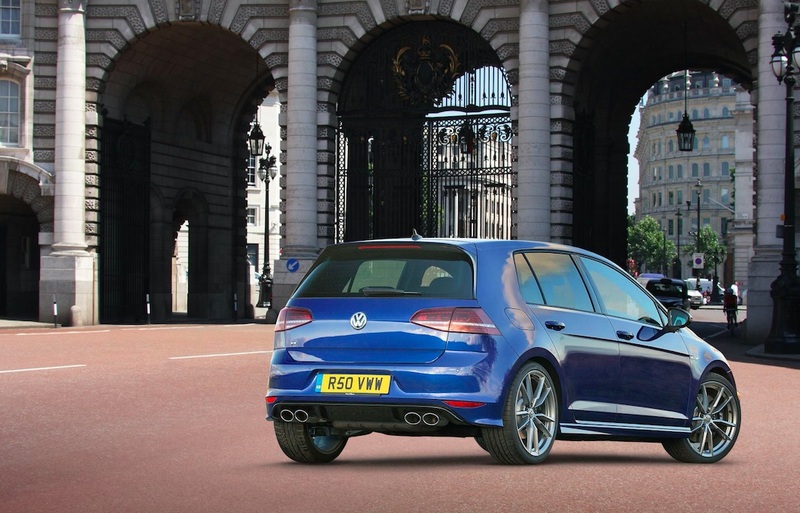 Both offer startling performance – the Golf is more refined – but they couldn’t be more different cars. The Honda just shouts ‘look at me’, all those spoilers, bling red touches and mad styling. The VW is more restrained, under the wire, restrained. Is there a mid-life crisis going on at Car Couture? I’ve actually been considering a red sports car, then last month I bought a Belstaff leather jacket and now, to cap it all, I’m thinking the Golf R needs a bit more razzamatazz. It’s not the performance – this is a hot hatchback like no other. No, it’s the rather bland styling and soul-less profile that welcomes me to the driveway every morning. Of course, the Golf GTI was never a stand-out model in the car park. You can leave that naff bling to Renault and Ford with their offerings. But even so, there’s no much to excite the eye with the R.
Apart from the lack of leather seats as standard (surely at this price? ), it’s the only fault I have with the R.
I’ve grown up with the Volkswagen Golf – it’s not quite as old as me but I can remember when the first ‘German hatchback’ arrived back in 1974. It was named the Rabbit in America. Weird. Those early Mk I Golfs are now collector’s items and the R we’re driving this week is destined to be the same. 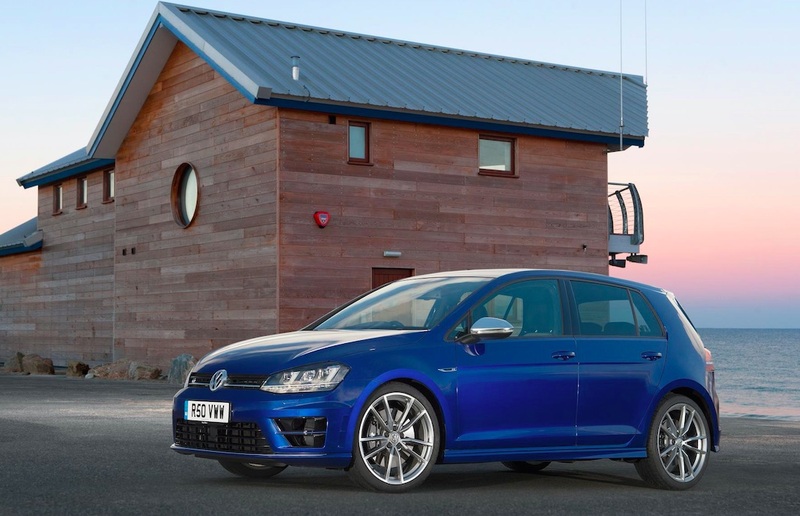 It has cult status written all over it – backed up by the tag of the fastest ever Golf. It’s called mood lighting. I still think Range Rover do it best – flashing a circle of light from underneath the door mirror onto the ground when you click the key fob. On the road it reads ‘Range Rover’. Cool. Most mood lighting takes place inside the cabin though. Volkswagen has equipped the R with a vibrant blue strip along the kick plate as you step in – plus the same across the top of the door. I’m all for mood lighting (in the Beetle, the colours can be changed depending on your ‘mood’ with a rotating dial) but it’s a bit bling if you like your Golf to be low key and ‘under the wire’. And nobody buys a Golf to make a big statement, do they? Even the R is the most underplayed, hot hatchback you can buy. Consider what Renault has done to the Megane RS 265 for example – eek! A friend of mine collects Mark I Golf convertibles in France – he has five stored in his barn. Over the years, the following six incarnations have brought us to this version. Just like the Porsche 911, there have been good and bad models (996? Eeek!) 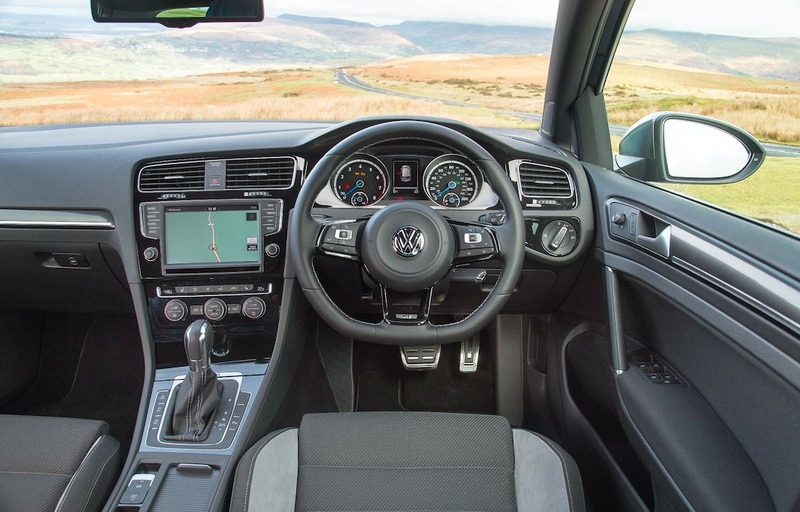 but the Golf has generally been regarded as the benchmark hatchback for some 40 years now. So as my friend begins August at his local car rally (the French like old cars as much as we do), he’ll no doubt be reading this and considering the R as the future classic Golf to buy and collect. 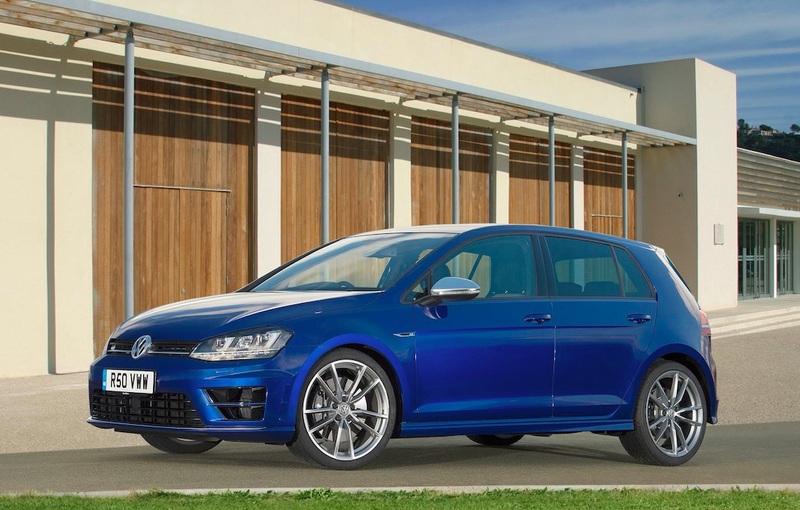 And because the fastest Golf ever is the R, this immediately gives it cult status. Over the next 20 years, the secondhand price of the R will dip like any other vehicle. But in 2035, this hatchback is going to be a classic.